Cross says he received the picture from a friend of Chief Keef's. Chicago rapper Chief Keef is proving to be a lightning rod in more ways than one. 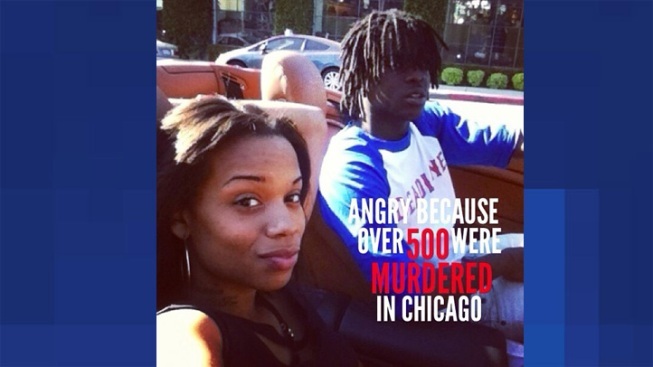 A picture of Keef on the 500campaign's Instagram feed this has sparked a debate over whether the teen has a place in an anti-violence movement. Keef, who's real name is Keith Cozart, is often under fire for his violent and misogynist lyrics, and in a case of life imitating art, is currently on probation for pointing a gun at a police officer in 2011 and was just released from jail earlier this month on a probation violation. 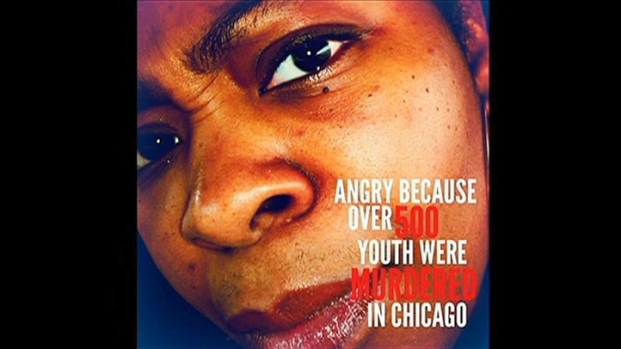 Twenty-eight-year-old Bryant Cross created the campaign, which asks ordinary Chicagoans to email him their head shots so he can add the slogan "Angry Because Over 500 Youth Were Murdered in Chicago" and post it to the feed. Frustrated by the stories of horrific violence in Chicago, one man is using social media to spread a unique message against violence. More than 1,200 pictures have been posted over the past few weeks, but a couple of days ago he received a photo of the rapper driving a top-down convertible next to a girl. The person who sent the picture claims he had Keef's blessing, so Cross added the slogan and posted the picture to the feed. The picture prompted an immediate backlash, with most comments criticizing the decision to post a picture of the controversial rapper. Cross decided to take the picture down, but a day later decided to re-post it, along with an explanation of why he decided it needs to be there. At a Monday press conference, Chicago police Supt. Garry McCarthy provided examples of how, he said, minimum mandatory sentencing laws for gun violations could save lives. 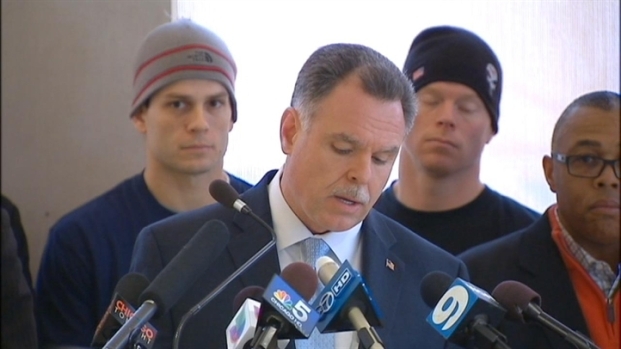 "Chief Keef and brothers like him are the ones we should be engaging," Cross told NBCChicago.com. "If you can't look at a photo and not be hostile -- there's no hope. We have to be able to engage everyone, not just the people we like." Cross says he doesn't feel like the picture mocks his movement, rather "strengthens" it. He's set aside June 10th for what he's hoping will be a large anti-violence rally, and a day when nobody in Chicago gets killed.